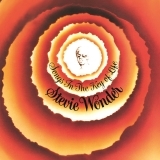 Songs in the Key of Life [Remaster] by Stevie Wonder. Songs In The Key Of Life is ranked 2nd best out of 35 albums by Stevie Wonder on BestEverAlbums.com. The best album by Stevie Wonder is Innervisions which is ranked number 130 in the list of all-time albums with a total rank score of 19,998. Members who like this album also like: The Dark Side Of The Moon by Pink Floyd, The Rise And Fall Of Ziggy Stardust And The Spiders From Mars by David Bowie and Led Zeppelin IV by Led Zeppelin. Related links: top tracks by Stevie Wondertop tracks of the 1970s, top tracks of 1976. Showing latest 5 ratings for this album. | Show all 931 ratings for this album. Related links: top albums of the 1970s, top albums of 1976. Stevie Wonder condensed the 20th century's popular music (including a significant amount of foresight into what would come along over the course of the following 24 years) into two hours, and did so masterfully. His best album. The first disc is simply perfect. The second one is great, but I could have done with a few tracks less. But all in all, this album is crazy good and my favorite Stevie Wonder album. The work of a true genius. 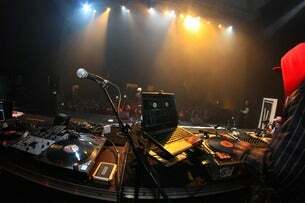 It covers multiple genres and it does well in everyting. A must listen! A masterpiece and an essential own in any music collection. This album defies logic, an album this long, by an artist I never really liked should not be this amazing. This is just a fantastic album. L'album che consegna definitivamente alla storia il suo autore, che contiene così tante idee ( non tutte ottime, per la verità ) da non bastare un doppio per contenerle tutte e che mette in fila una serie di canzoni tra le più classiche tra quelle dello Stefano Meraviglia nonché della musica nera e del pop tutto. Il primo dei due dischi è assolutamente inattaccabile, il secondo no ma contiene comunque diverse canzoni memorabili. La vetta assoluta di un artista abituato alle montagne russe dell'ispirazione. The cynicism that occasionally cropped up in Innervisions is diminished - here is Stevie Wonder proclaiming his belief that love is an all-permeating force, the same as life itself, and that in the end, love in all its forms reigns supreme. Dig a little deeper than the incredible singles, and you run into treasures such as the space gospel sounds of Have a Talk With God, the proto-rap of Black Man, and the rapturous juggernaut of As. He really wasn't being fair here. I feel like he just said, "Screw it, I've been holding back but I'm just gonna go ahead and blow everyone else away." Almost two hours of music and hardly a weak moment to be found? The songs just jump out of the speaker. Did he set out to rewrite the American songbook?